Whether it is walking your own dog, accompanying a friend or family member on a walk with their pet, or volunteering to walk dogs at a shelter—the point is simply to help kick off the new year with healthy goals. Dogs are wonderful companions, who love to be by your side both at home, as well as outdoors. So, bundle up and get out there! In case you were already seeking to grow your family with a RASKC adoptable pet, visit us online or in person. Leisa Murray is one of RASKC’s longest-serving volunteers on a weekly shift. She began as a foster volunteer in 2005. A couple of years later she began working shifts at the shelter before there was a Cat Adoptions Building on the RASKC/ KCACC campus. Leisa serves as the Lead Volunteer for the Early Morning Cat Crew, having trained hundreds of new volunteers. She has cared for innumerable RASKC cats, rabbits, and a variety of other small critters (Thank you, Leisa!). Leisa is also among the legion of RASKC volunteers who enjoys quilting. An interview with Leisa can be found on our website and blog. 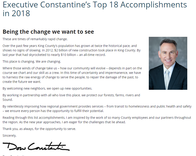 Hurray that RASKC was cited as one of King County’s top 18 achievements in 2018! See all of the achievements here. Scroll down to slide 18 for the RASKC achievement. RASKC volunteers contribute over 129,000 hours last year! RASKC’s great success depends in large part upon teamwork between the volunteers and professional staff. Last year volunteers contributed over 129,000 hours! This represents an increase from the previous year’s overall 126,412 hours contributed. The majority of the volunteer hours - more than 102,000 hours- were contributed by foster volunteers last year. In 2018, about 386 people attended new volunteer orientation (23 sessions). Overall 766 volunteers contributed service last year. Thank you, one and all! 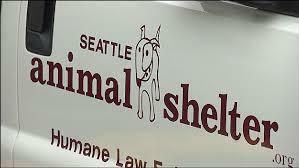 RASKC is assisting the Seattle Animal Shelter (SAS) in light of traffic congestion resulting from the removal of the Highway 99 viaduct before the new tunnel opens. The SAS Animal Control Officers who are assigned to the southern portion of the city are physically based at RASKC during the traffic transition. That’s why an SAS truck is often seen in the RASKC parking lot at night. RASKC welcomes the SAS officers to use our office space, computers, and copy machines during this time too. One of the SAS officers, Bobbi Soper, is a former RASKC employee, so we are especially glad to see her again! To the great delight of many, last year volunteer Cheri Tjoelker began Reiki sessions with dogs at the shelter after her weekly Dog Walker shift. Reiki is an ancient Japanese meditative healing practice that involves channeling natural healing energy. It is believed that Reiki can often ease pain, reduce stress, boost the immune system, expedite healing processes, and remove or minimize emotional or psychological blockages. Cheri allows the dog to decide if it wants to engage in a session and how long the session will last. “Some of the dogs take longer to settle than others, but most have been very responsive to the healing energy,” said Cheri. At the USCPCA animal shelter in Kingston, New York, many staff members and volunteers administer Reiki to the animals. Here are some online resources for dog Reiki: Ryn Gargulinksi, Animal Reiki Source, and Wag!. Earlier this month RASKC successfully launched a new pet-licensing payment system, providing King County residents a superior online purchasing experience. 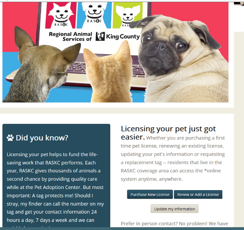 Residents living in the RASKC coverage area can purchase a brand-new license, renew an existing license, update information, request a replacement tag, and even donate by visiting the new system at kingcounty.gov/licensemypet. The new web licensing system is mobile friendly, more intuitive, and easy to navigate. RASKC collaborated with King County’s Information Technology agency and our database system provider HLP. More than 75% of all RASKC pet-licensing transactions occurs online. This represents nearly $2.3 million in revenue, so providing a simpler solution for users was an easy decision. On January 19 LLuvia Ellison-Morales, RASKC Animal Services Administrator, went “on air” as part of Sea Mar’s radio show, “Latinos Unidos – Informacion para nuestra Comunidad” (Latinos United – Information for our Community). She discussed the importance and benefits of pet licensing. RASKC will participate on this show throughout the year to raise awareness about animal services and what this means to the community. Sea Mar’s radio show features topics concerning current health education and preventive care for Latinos living in the Pacific Northwest, community affairs and challenges, as well as other useful information aimed at helping listeners achieve a better quality of life in Washington state. The show broadcasts every Tuesday and Saturday on 1360 AM from 12pm- 1pm. Radio sessions may include a Facebook Live component that will be shared on RASKC's and Condado de King’s Facebook pages. Sea Mar Community Health Centers is a community-based organization committed to providing various services to the Latino community. RASKC loves to hear from families who have adopted from our shelter. Do you have an adoption update that you’d like to share? Drop us a line on Facebook Messenger or email pets@kingcounty.gov. We’ll share your Happy Tails too! Animal Care Technician Brandy Cherone has been working for RASKC/ KCACC for more than 10 years. (RASKC was previously known as King County Animal Care and Control). She has also worked as a RASKC Animal Control Officer. Tell us about yourself. My name is Brandy. I’m married to a vet and have a bunch of cats (10 at the moment), one dog, and a tortoise. I grew up with a military mom and lived in Guam, Panama, California, Pennsylvania, Illinois, Alabama, Minnesota, and Washington state. I have a soft spot in my heart for Dachshunds. Why did you decide to work to help animals? I love animals and actually wanted to work as a veterinarian. I have a degree in Biology with an emphasis in Animal Care. 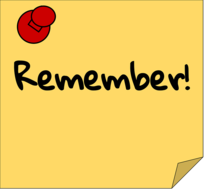 What did you do prior to coming to KCACC/ RASKC? I worked at a research facility as a behavior technician with rats. What does your work for RASKC involve? I work at the front counter. I do adoptions and help with most of the customers that pick up their escaped animals. Throughout the shelter I feed and clean animals and care for their needs. I help the Vet Clinic a lot and help do blood draws, vaccinate, and medicate animals. What is the best part about your job? My favorite part of RASKC is working with the sick kitties and helping them to recover from Upper Respiratory Infection. What do you do when you’re not at work? I’m an anime fan and enjoy video games, watching movies, and reading sci-fi books. I am a black belt in Tae Kwon Do and Hapkido. I enjoy wrapping and gifting presents. I spend time with my husband and each of our moms. We get together every week to watch Game of Thrones, Homeland, or Man in the High Castle. I also love to play with my animals at home! Please share a notable experience with any animals. Not many animals get loose at the front counter during the intake process, but we were taking in a few under-socialized kittens. One of them escaped from another Animal Care Technician, and it managed to get behind the front cabinet (Next time you’re up front, take a look). The front cabinet is very heavy and bolted to the wall. The cat managed, however, to get in the small opening behind the cabinent. We spent the whole afternoon disassembling the cabinet from the wall. After several hours, we managed to get the poor little kitten out. After that experience, the kitten was socialized and adopted. We have stuffed towels in that crack, so it doesn’t happen again! Dave is a 5 year-old male Pit Bull/Staffordshire Bull Terrier Dog (ID #A576738). This handsome boy is cuddly, lazy, and a big couch potato! Dave is also very smart and already knows how to "sit," "stay," "come," and "shake." He is always willing to learn when treats are involved. Dave can be a little nervous with strangers, but with some patience (and treats), he warms up quickly. 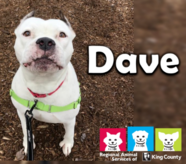 Dave would do best in an adult-only home with a family who can be consistent with his training while he learns to share objects. Dave likes to chase small critters, so he shouldn't be in a home with small animals. He is very playful and respectful with dogs his size and would love a dog friend! Dave does need to learn how to share his favorite things and know that it's okay to give up some items because he will always get something better in return. His adoption will include a conversation with one of his caregivers to discuss ways to help him be successful in his new home and when he goes out and about with his new family. Dave has a RED personality. He is a spirited dog with a fun-loving personality. He is still working on his manners and would do best with a family willing to work with him to help him become the best dog he can be. Dave can be bribed with treats most times. Dave is neutered, current on vaccinations and microchipped! His $100 adoption fee also includes a free visit to the veterinarian of your choice, and 30 days of opt-in pet insurance through Trupanion. Help with King County’s “Count Us In” event on January 25. 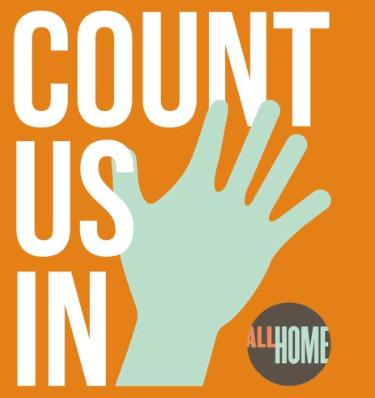 King County’s “All Home” program is seeking volunteers in southeast King County and on the eastside to help this Friday, January 25, from 2am- 6am for the “Count Us in’ event (formerly known as the One Night Count to estimate the number of people experiencing homelessness). For info contact allhome@allhomekc.org. Ms. Ijeoma Oluo’s speech to honor Dr. Martin Luther King Jr., given earlier this month to King County employees, is available here. Free discount cards are available to seniors and to people with disabilities in Seattle and King County. The City of Seattle is offering the discount cards. With a Gold or FLASH card, for example, the Seattle Aquarium offers free entrance (normally $29.95 admission for adults). Seattle Woodland Park Zoo offers 75% off full admission price with the Gold or FLASH card. For more information go here or contact agefriendly@seattle.gov, 206-684-0500. More than 85 people who are 60+ years old volunteer for RASKC (the oldest volunteer is 84 years old). Many skilled people with disabilities also volunteer here. Feeding RASKC rabbits: It’s important that rabbits at RASKC are fed no more than ¼ cup of pellets each day. Since their life here is sedentary, we do not want them to get obese on our watch! Are you a veteran? Please update the “My Profile” tab of your online volunteer record to let us know. The Washington State Governor’s Service Awards has a special category to nominate veterans who contribute outstanding volunteer service. No cats at the store? 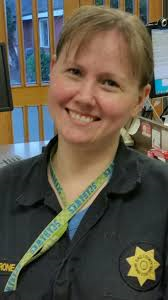 If you volunteer at Covington Petco, Kirkland Petco, Reber Ranch, or Tukwila Petco, please take yourself off the online calendar in your volunteer record if there are no cats and no hard cleans at the store when you’re scheduled. While your team’s scheduler and the RASKC office strives to do this, it helps a lot if you take this action when needed. Thanks! RASKC maintains more than 300 scheduled shifts; about 85% are weekly. If you are a RASKC volunteer and you do not see an opening that matches your availability, please be patient. Additional openings occur almost every week. If you would like to attend new volunteer orientation this Saturday, January 26, in Kirkland, go here. If you are interested in a session in Kent on Tuesday afternoon, March 19, or Saturday morning, March 30, find out more information here. Note: If you have not yet attended new volunteer orientation, please contact the Volunteer Program for possible “fast track” consideration if your schedule matches any of the shifts listed below. Priority is given to people who have already attended the session and who have already submitted the required paperwork. Thanks.